At least these bears, are not robbing the U.S.treasury of 10 Trillion Dollars and holding the whole world hostage with their rapacious greed, stupidity and wall street smarts. No they are just robbing the Tax-payers. I was going to say that was a "Kodiak Moment" but I guess it's the wrong color. The problem with this bear is that he/she will probably be shot very soon. When a bear loses their fear of humans and begins hanging out in campgrounds or near human establishments, a human will soon get hurt and the bear will be relocated and/or eventually shot if it continues to show back up in the same location begging. It's sad because we encourage this behavior by feeding or teasing the bear as though it is a domesticated pet. "Please, pastor, let's talk before the church picnic about these, ahem, Calvinist leanings of yours." "After preaching a sermon to the birds, St. Francis was a little alarmed at his next audience. He didn't give up, though, for he didn't want to be a sissy." The bear has actually been added to the payroll as a sales rep for Government Motors. He'd like to know if you want to buy the new Beehive model. "I'm just here to make sure that any changes in Cooperative Program formulas increase honey allocations in wilderness programs." See some of y'all in Louisville. I'll be the guy in the bear suit. All seriousness aside, this bear is obviously very confused. Today's the day the teddy-bears have their picnic. :) (Old, old song.) Maybe this bear was given an invitation by mistake. Where can the bear forage? Are there areas large enough, with enough food for the bear population? Probably not. Not anymore. The dynamics of the ecology: size of territory, amount of prey, size of bear population growth: all these work against the survival of these wild creatures. And if the bear does get 'shot', maybe it will be out of some kind of strange compassion? Out of pity for a creature whose natural world we have destroyed? I once told the story of my Auntie Rhoda who lives on the side of a mountain up on the Mohawk Trail in Massachusetts. She has this little bear that comes around and gets into her trash. She says 'he has to eat, too'. 'Come away, now that you are old and by yourself,' we say to Aunt Rhoda. She says 'no', her roots are there in that place, and she finds peace there. The way Auntie Rhoda puts it is like this: she would die if she were moved from that place. And she says that the animals there are a part of that place, where she is rooted. In my Aunt's words I hear the echo of an old Indian Chief who once said that when all the animals were gone from the Earth, mankind would die from a great 'loneliness of the spirit'. P.S. There is a tiny 'chalet' on the other side of that mountain owned by my cousin. His family uses it as a 'get-a-way'. He has offered it to us, if we can come up there for a time. You know, I think I'll take him up on it. 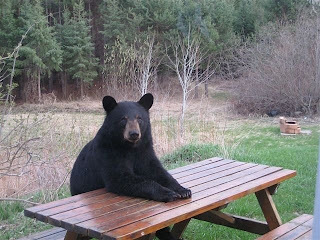 This particular black bear in Montana has been identified as a member of the Democratic Party and is known by the locals by his pet nickname. I like to ask you do you check out those who come to your church front door, to see if they vote your way? Speaking of handouts, those of you who like to print words about our government give away? How about all of us, that are retired and have a small check (S/S), tithe it to the church? Do you stand up on Sunday morning and say I am against Government give away, don’t give any money (your S/S) to this church? Are you planning to take Social Secure and Medicare when you become of age? You got to walk the talk; you can’t stand on the fence. Why not take the time with some good words and say I will pray for the President and the congress this Sunday doing the service. It is easy to hate than to love? Ask yourself: if you are 'laid off', what if your employer paid 65percent of your health coverage and you paid only 35 percent, instead of the full load. Then, the 'government' (which is us), gives a tax-break (very Republican, you say?) to your former employer for the 65 percent he has paid for you. Guess who is responsible for this act of mercy on our laid-off countrymen and women? Well, it wasn't the Republicans. and give help where it is really needed: by the people who are suffering, not by the 'rich' who are complaining about their 'taxes'. For some reason, I have no patience with the arguments of the rich, right now. They HAD their eight years. People, people, let's calm down--it's a JOKE. Not a particularly good joke, but a joke nonetheless. A joke that pokes fun at a President and an administration that are at least trying to do something (and may be doing a fairly decent job of trying, given that folks on both the left and right are mad at them), but a joke nonetheless. But the bottom line is that it's a JOKE. And, given where Wade is headed this week, I think it's wise that he's taking his sense of humor with him. He's gonna need it. The bear is actually named Fred; he won't be a problem much longer as he and a grizzly named Stewart are moving to Connecticut to take advantage of .. you know .. the marriage laws. And here we thought he was for the poor and he allowed millions of dollars in bonuses to those poor executives we are bailing out from greed and bad decisions. Then he acted all outraged when it was made public. Is he saying he did not know what was in the bailout bill of billions? What else do we not know about? Where is the hope? The messiah is backing off from his campaign propaganda and now chiding us that he should not expect miracles as he led so many to believe he was the answer. His experience? Community organizer, state legislature and senator for 173 days. It is the American people who scare me. Obama is just a result of a much larger problem. AP > Southern Baptists to gather in Kentucky. "I don't think one should expect a lot of flamboyant kind of resolutions (this year) that are just kind of all over the map and addressing all sorts of issues," Akin said. Hunt has asked members to focus on a mission statement-style document crafted by Akin urging Baptists to put aside differences and focus on rebuilding North American and international missions. The document, "Toward A Great Commission Resurgence" has more than 3,500 signers on a Web site where it is posted. It also has stirred up internal controversy because of a section that calls for re-examining the national convention structure, including a goal to "maximize our resources" for mission work and eliminate "overlap and duplication of ministries." Akin argues in the document for "more faithful stewardship of the funds" given by local churches and state conventions to the SBC's Cooperative Program, which supports worldwide missions. their way to the international mission fields," he said. But dissenters worry that a structural change could weaken the state conventions. The document will be the "hot topic" at the two-day convention, predicts Wade Burleson, a high-profile Baptist pastor from Enid, Okla. The Salt Lake Tribune > Southern Baptists look for cures to stagnation. Akin, the 52-year-old president of Southeastern Baptist Theological Seminary in Wake Forest, N.C., says the annual fights over hot-button theological or social issues aren't moving the next generation of Baptists. "This is kind of the network of younger, enthusiastic Southern Baptists who, to be honest with you, ... find the annual meeting itself a little frustrating and a little boring," said Akin. Akin hopes the declaration will help chart a new direction by combining theology -- with a focus on sharing the gospel and belief in an error-proof Bible -- with a top-to-bottom streamlining that puts special emphasis on racial reconciliation. The Baptist blogosphere is already abuzz with debate over where the document could take the denomination, or if it could even work. "It exposes two divides," said the Rev. 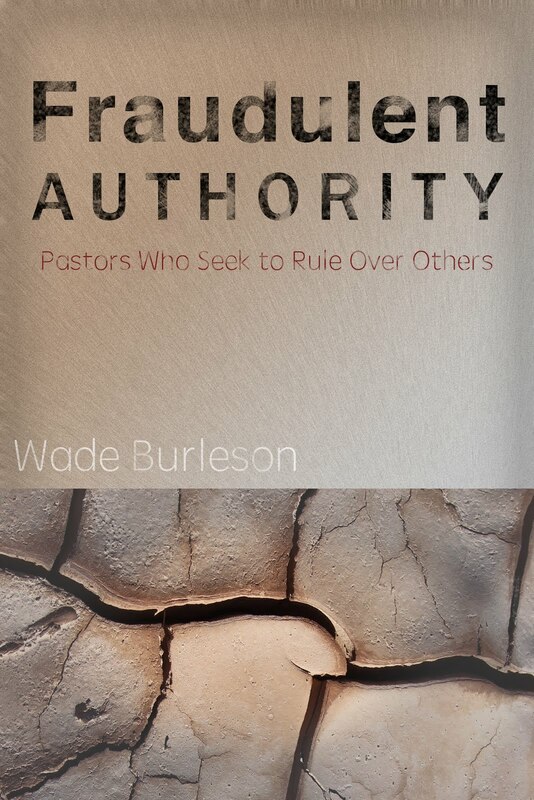 Wade Burleson, pastor of Emmanuel Baptist Church in Enid, Okla., who has used his blog to question Southern Baptist policies in recent years. "It's an ideological, not generational, divide and it is a status-quo-versus-change divide." Pravda editorial: American Capitalism Gone with a Whimper. Now that is the ultimate irony. Still hoping you'll respond to my last comment. I know you get lots of posts on this blog, so if you don't or can't I'll certainly understand. Here's the basic question. While I agree that scripture is consistent in condemning homosexual practice, doesn't Jesus also expressly forbid divorce and re-marriage--equating it with adultery? I've consistently taken a stand in my ministry that homosexuality is not an acceptable lifestyle for somemone who is a follower of Jesus, but when someone asked me about divorce and re-marriage, I have to admit, I've found room for re-married individuals in my church (and even in the leadership of my church). If the SBC disfellowships a church over homosexuality (which would certainly not be surprising), are Southern Baptists being hypocritical for not doing the same with churches who embrace those who are divorced and re-married? Anyone else have a thought? Again, not trying to pick a fight. Just thinking out loud. I for one think you have a good point. It is fascinating to me that the only things that the SBC Constitution says will disqualify a church from being in "cooperation" are affirming homosexuality or not sending any money. 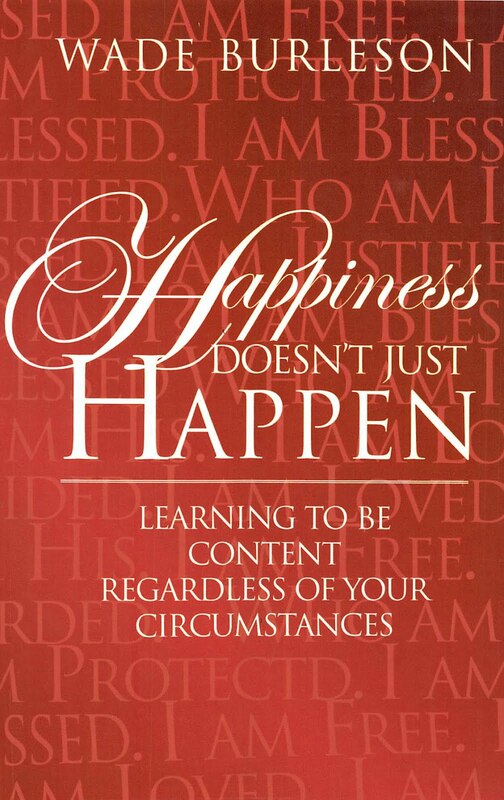 We condemn what we want to condemn and we find our way around what we want to find our way around. While the debate surrounding homosexuality and the church is certainly a biblical one, it is perhaps even more a cultural one, and the culture in most SBC churches and certainly in SBC leadership allows the SBC to take a strict line on homosexuality. 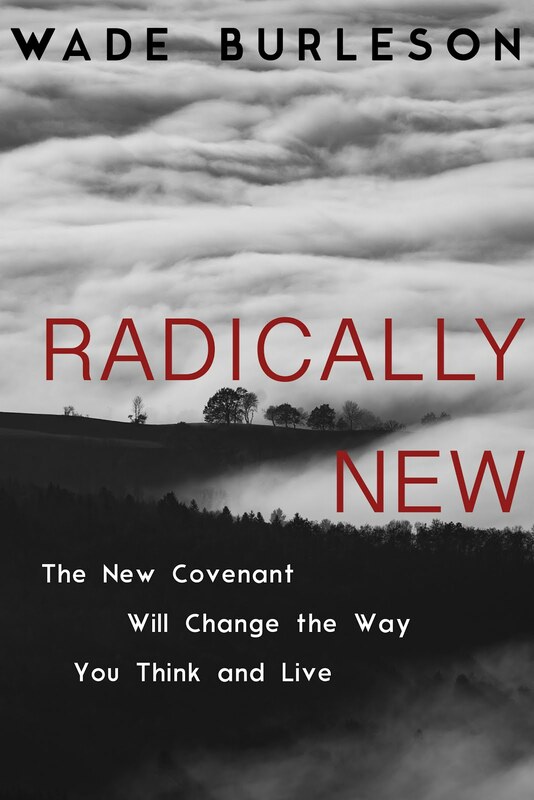 But the other issues you mention, such as divorce, have achieved acceptance both in American culture (even in conservative Southern culture) and in SBC culture; thus, no strict stance. If the SBC or any other denomination ever got really serious about "discipline," that denomination would soon have no churches left. Reminds me of a the Phil Harris song The Preacher and the Bear..."Oh, Lord, if you can't help me, for goodness sake don't help that bear." The joke is fine, but what we endured the last eight years was outright disrespect for the office of the President. I personally was sickened by the constant hate and venom that was spewed by secular people and Christians alike. I'm not sure we can ever recover civility in this country when it comes to political discourse. I have been guilty as well especially when it was someone I didn't vote for. But somehow we need to get beyond the partisan nature and remember to pray for our leaders regardless of whether they have an R or a D behind their names. Jim is of course correct, except that he does not go back far enough. The hate and venom of the eight years prior to the immediate past eight years was pretty significant, too. Perhaps such has always been a part of our political culture, but the proliferation of instant media, including the 24 hour news channels and the internet, have just exacerbated the problem. All Christians should pray daily for the President, whoever sits in the Oval Office. And all Christians should act to support or to oppose public policy according to their conscience as guided by Scripture (I'd especially recommend reading the prophets and the Gospels) and the Holy Spirit. But there is no place in us for hate, unbridled anger, and partisan attacks. Jim and Michael are both right. Actually, if the hate and attacks toward political opponents does not go back to Washington (and arguably it does, at least towards some in his administration, like Alexander Hamilton), certainly it goes back as far as John Adams, who probably was denied a second term because of it. Popular history, especially those used in the school systems, either barely touch on it or fail to mention it at all, but primary source material--newspapers especially--were downright nasty, almost obscene in some cases, quoting unnamed ources, rumor, and conjecture as if it were fact, and in graphic detail. Even so, I agree with Jim that it "seems" worse to me in the past few years. Whether that is because more people are literate, because it is worse, or just because news reporting is more thorough--I don't know.